Disclosure: This post is in partnership with Jamieson. As always, opinions are all mine. Since giving birth for an 8th time on April 1st, my main concern has been getting baby and myself comfortable and making sure we are both healthy. Which means continuing to take my vitamins and making sure baby is getting all the supplements she needs as well. Often people think once you give birth you should stop taking your prenatal vitamins, but that isn’t the case. You should continue taking them especially if you are like me and breastfeeding. Yes, the baby does get all she needs from breastfeeding but there are things such as Vitamin D baby won’t get from breastfeeding and need supplements for. Luckily for us, Jamieson has a line of products just that us new and soon-to-be mamas need. 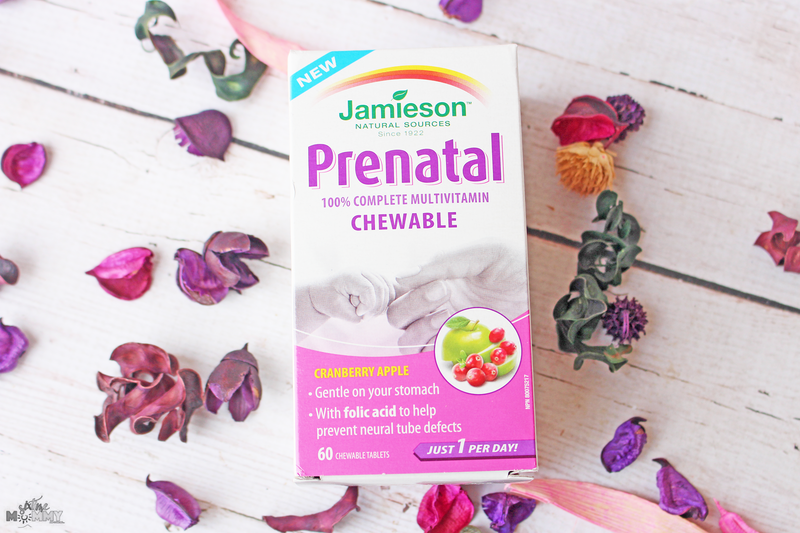 Prenatal Support – Just like Jamieson 100% Complete multivitamins, Jamieson’s line of prenatal products include 100% or more of the vitamins recommended for pregnant women according to Health Canada, in just one pill per day! It is enriched with iron, iodine and folic acid to ensure expecting & nursing mothers are getting the essentials nutrients needed for them and baby’s overall health. This delicious Cranberry Apple chewable is gentle on your stomach and easy to take. 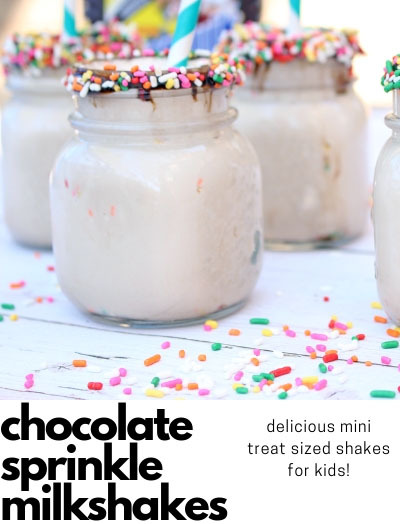 So taking during pregnancy and after is a breeze! 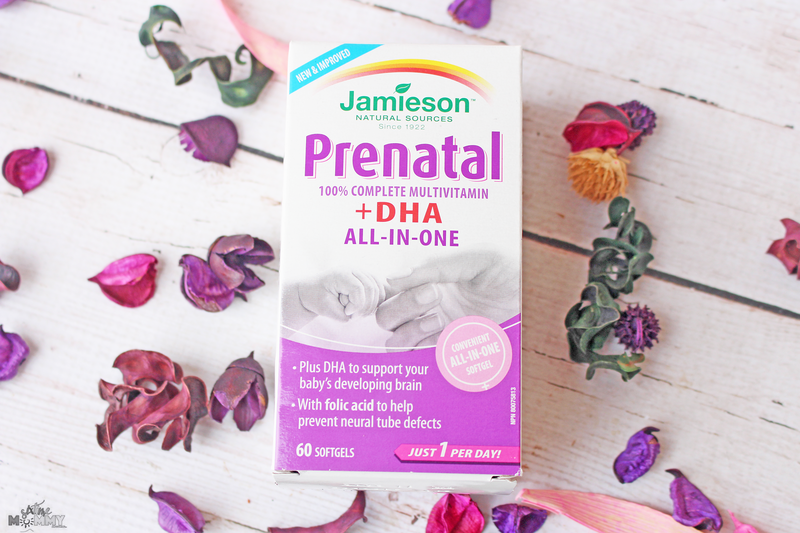 Jamieson created a 100% complete prenatal multivitamin with DHA as a premium, complete prenatal and postnatal multivitamin that also offers 150 mg of omega-3 DHA in just one soft-gel per day! It is rich in folic acid to help prevent neural tube defects and ensures expecting and nursing mothers are getting the essential vitamins and other nutrients, like DHA Omega-3, they need for their baby’s optimal brain development and overall health. Having my 8th baby means going through all those hormone changes, and after having a baby, the last thing you want to do is stop taking those vitamins to help you feel you’re very best. After having Mia, my body was feeling rough. She had to stay in the NICU for three days which meant I got no sleep, no rest for my body and was up constantly sitting in an uncomfortable chair by her side. I was feeling emotionally drained, and I started to get a tickle in my throat and battled constant headaches. Taking my prenatal vitamins ensured that if I wasn’t getting everything I needed while I fought this hard time with her, I was at least getting what I needed to get back on track and make our breastfeeding journey off to a good start. Breastfeeding is something very important to me so making sure I was getting what I needed even if I missed meals, was so important. Speaking of breastfeeding did you know when you are breastfeeding it is still recommended to give baby Vitamin D drops? It’s important for baby’s health to get whats needed for their little immune systems. Jamieson offers an assortment of products to support the development and health of your baby. Jamieson Baby-D Vitamin droplets are essential to support babies’ development of healthy bones & teeth as well as their immune systems. The drops are unflavoured and can be conveniently added to breast milk/food and drinks or dropped directly into baby’s mouth. 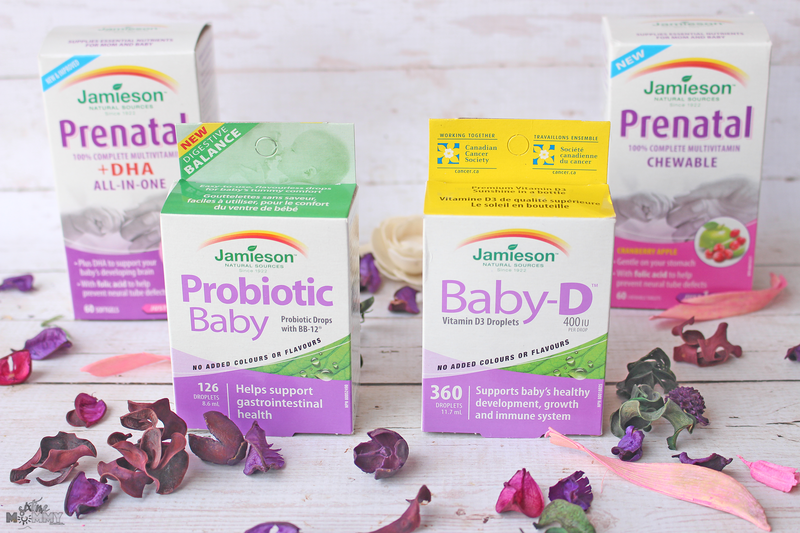 Jamieson probiotic drops are a unique liquid formula that is clinically proven to support gastrointestinal health for infants. It is well known that if babies are born via caesarian section, they may be missing vital bacteria obtained through natural birth and can benefit from early supplementation of probiotics. 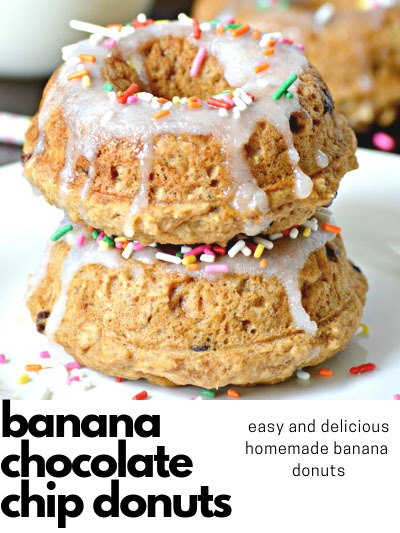 Jamieson has always been a staple name in our household, so we have always used their products with our babies. 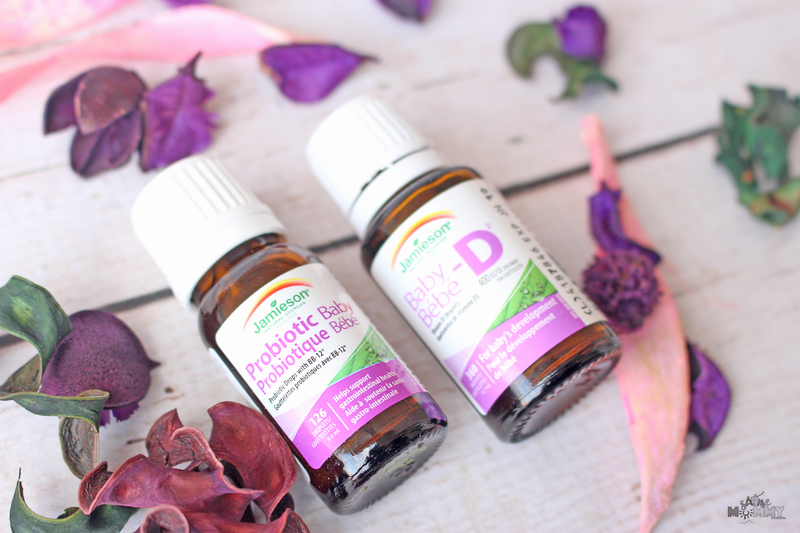 They are our go-to for Vitamin D drops while breastfeeding and the brand I’ve always chosen to take for my vitamin needs as well. It’s important to know that just because you have a baby doesn&#39;t mean it’s time to stop taking your supplements and keep on them. Having a baby is major, and we need to treat our bodies as such. I’m still recovering with my body and making sure to give my body the very best, so baby gets what she needs, and my body isn’t lacking or having anything taken from it to satisfy her. Mia is doing great now, and we are home, she is thriving, and our breastfeeding journey is going amazing. I give her Vitamin D drops daily, and know I am doing my very best to ensure she is getting exactly what is needed to grow healthy and active.